It's true that over the years, Chi-Chi has often been regarded as one of the worst characters in the franchise, but I personally have been warmer to her as I grow older and start to take more notice of the exact situation she finds herself in. 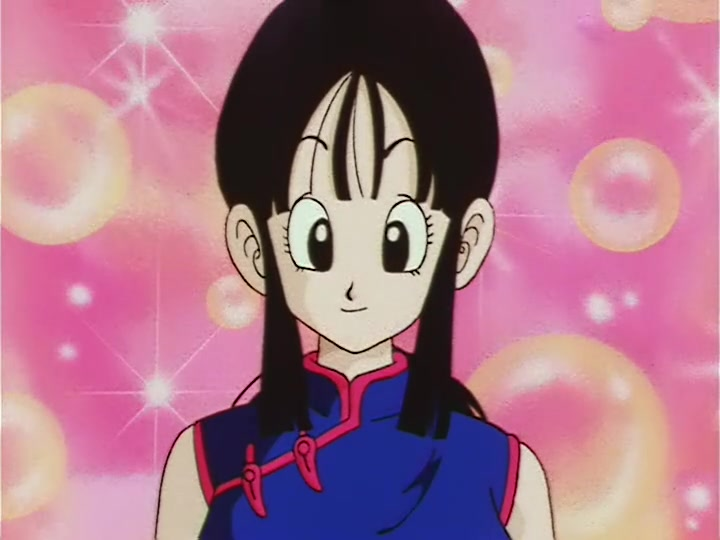 Chi-Chi is the daughter of the Ox-King, a character who we thought was going to be way more important than he is, and the eventual wife of Son Goku, as well as the mother of Gohan and Goten, and grandmother of Pan. 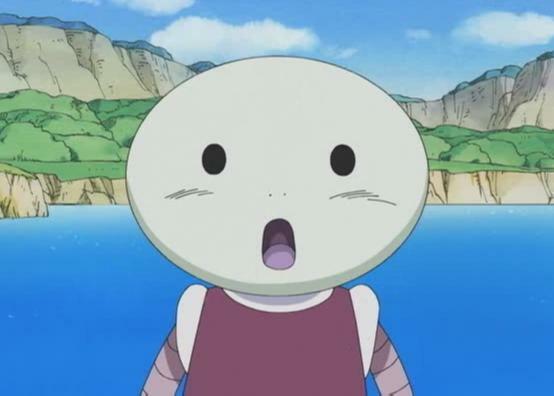 For many viewers, Chi-Chi came across as a nag who got in the way. 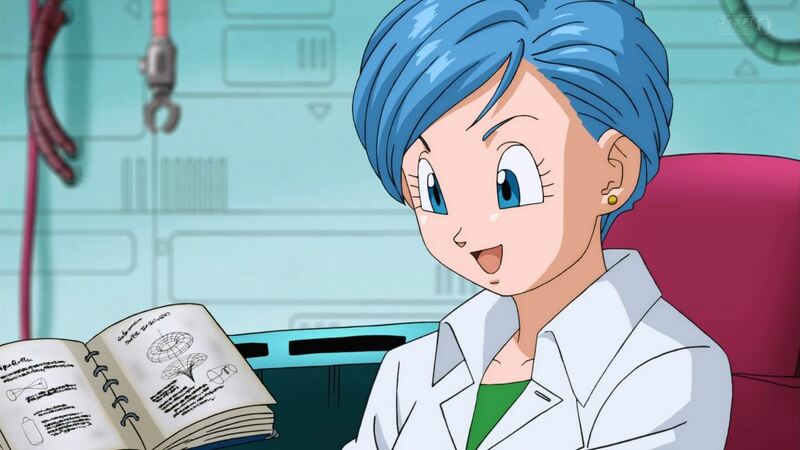 She complained a lot and demanded Gohan to study as much as possible, but in her defence, who can blame her for wanting her son to not have to fight giant planetbusters of death?! Or end up like her husband, who we know she loves, but is often a point of frustration for her and many other characters. This is a woman who puts up with a lot of crap over the years but remains strong despite, or maybe because, of it all, and she gets on this list for that alone, even if she does go a bit too overboard sometimes. One of the best things about the video games is that Akira Toriyama himself almost always designs the characters. 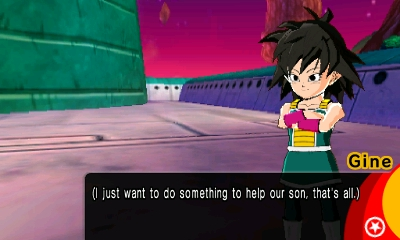 Surprisingly though, Chronoa is not, which means there's at least someone working for the developers of the Xenoverse series that knows exactly how to work the Toriyama style. Chronoa is known to most of you as the "Supreme Kai of Time", and acts as the guide and lecturer of the Xenoverse series for the player. To put it frankly, Chronoa is a lot of cheesy fun. For many, that could be off-putting since she is very silly and her humour is quite safe, almost to the point of being childish. It took me a while to get into her character, but I'm glad I eventually loosened up and learned to have fun with what I got. 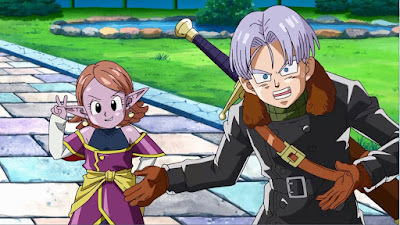 Xenoverse needed someone cute and charming to provide most of the exposition, and Chronoa was a good choice. Not enough people have watched or read the original series of Dragon Ball, which is a path I pray never happens to Naruto, because they are missing out on a lot of fun characters and moments. And while her appearance in the franchise is brief, mostly used these days as a means to an end for Goku, she did provide some fantastic emotion during her first appearance and is quite a fun female character in general that feels distinctly Toriyama. Her legs must be so numb. It looks so uncomfortable! 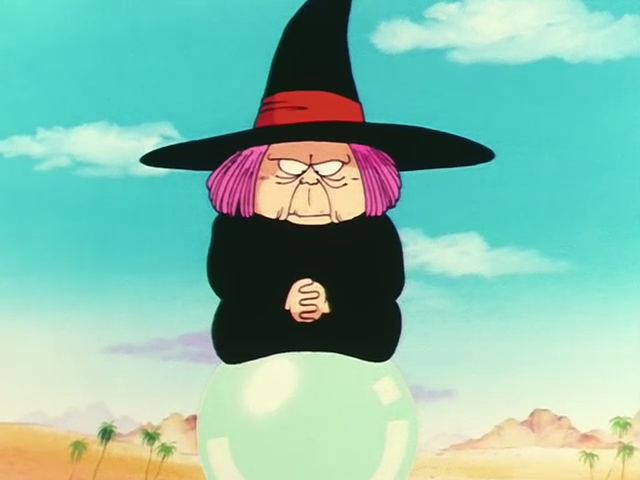 Fortuneteller Baba is the elder sister of Roshi, although the two never do quite get along. While Roshi likes to train students and gawk over girls, Baba prefers to make people pay her for predictions about the future or facts pertaining to the current world. When a young Goku greatly needed help, Baba was who he turned to. What followed was a couple of fun fights, followed by a surprising and emotional reveal of one of her assigned fighters, and it changed Goku forever in a way even she could not comprehend. What makes Kale far more interesting than the original Broly however is that she actually learns to control it, and has a personality beyond hating Goku. 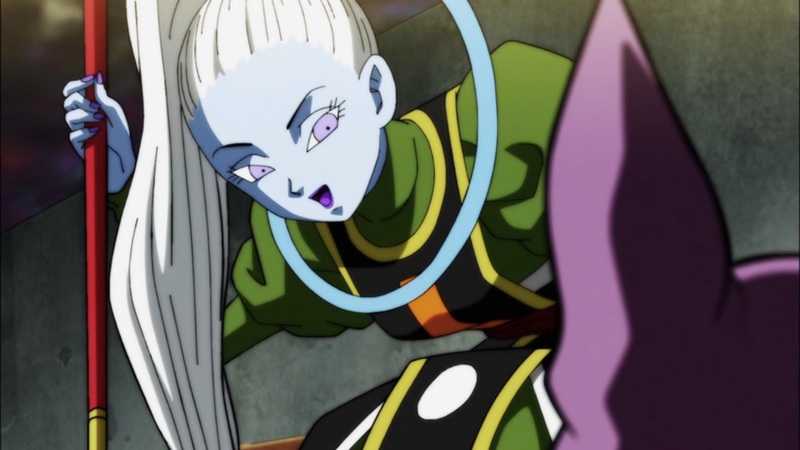 She's awkward, scared and highly dependent on Caulifla, but her experience during this arc allows her to finally stand strong beside her and gain the true power of her form. Whether you love her because she's an improved Broly (before Toriyama literally improved Broly) or because she might be the very first Gaiyan/Gay Saiyan, there's plenty to like about this vegetable. In all honesty, Mai would probably have been on this list if Super hadn't existed anyway, but her development in that segment of the franchise is what gave her the push to 6th place. The first official villain of the franchise, Emperor Pilaf, only had two minions working for him. One was a talking ninja dog named Shu, and the other was a serious woman who must have a fascinating history to make her end up working for someone like Pilaf, Mai. Look at her little hat! When did this idiot get so smart and cute?! Starting out as nothing more than hilarious comic relief that Goku defeated time and time again, Mai has taken a lot of time in Dragon Ball Super to improve and develop as a person, ironically by making herself turn into a child. Instead of being a one-note Jessie to Shu's James, Mai has become a surprisingly relevant character in Trunks' life, both future and present, and has been a huge help to those of us who felt Pilaf needed some restraint with his comedy routines. If you've read my worst characters list, you'll know Videl actually made it there already. Well, we're not talking about that version, but the post-GT/Super Videl that we met during the Buu Saga. Gohan's future wife, which is unfortunately all the Super series wants her to be, was first seen as a grumpy highschool student that had a weird fixation with fighting criminals and protecting the city. 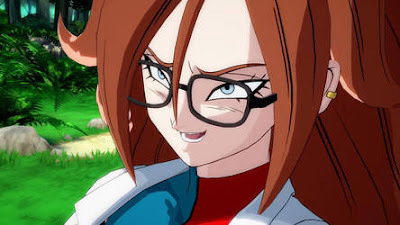 FighterZ, the best Dragon Ball game, got a massive amount of publicity when Akira Toriyama revealed the woman he had created himself to play as the main threat for our heroes and villains, Android 21. Not only did this break back the Red Ribbon Army, a group that a lot of readers adored for years, but just look at that design! Her hair, her face, her glasses, her... tail! She ticked a lot of boxes for a lot of people! Man, it is NOT easy to find a picture that's safe for work with this woman. Of course, it's not just the visuals of her two forms that people love. A lot of female villains in action films or anime tend to either be old, grumpy, slutty or completely tragic. Android 21 is none of these (well, technically half of her is tragic but semantics), but is instead a fun character that delights in her desire to literally eat all the characters! She's a blast to play as well, turning the enemies into sweets to consume, blasting with pink-purple fire, and smacking with her new tail. 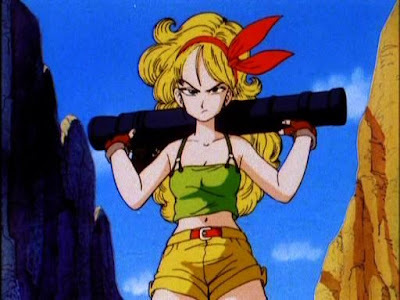 Out of all of Toriyama's game-only characters so far, Android 21 is easily at the top of my list, and I'm begging to see more of her in the future, especially considering her history with the Red Ribbon Army. Android 21 arc? Please? Yeah, you long-time readers knew this one was coming. It's no secret that this is my waifu, my love, my darling. 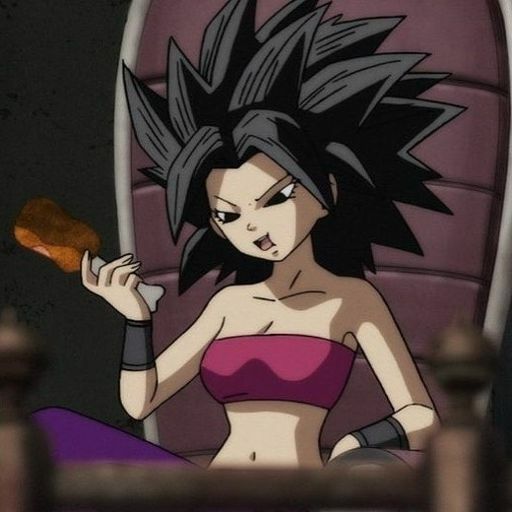 I hunger for your tou... anyway, Caulifla is awesome! 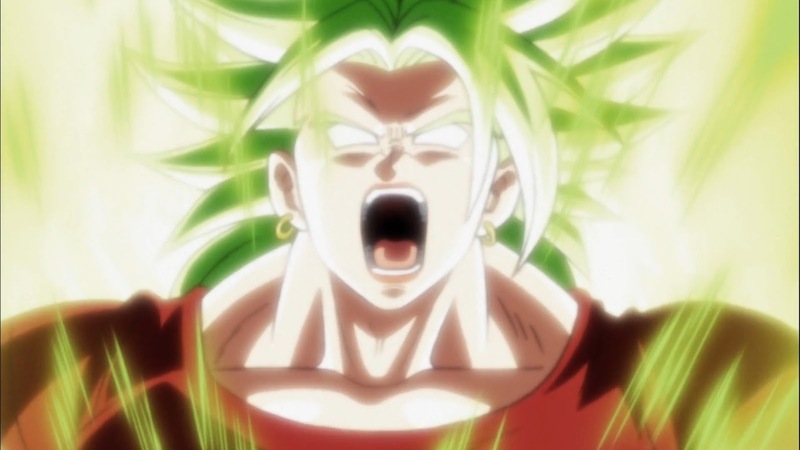 For years, we had been wishing to see a female Super Saiyan, and Pan was a complete letdown, so Caulifla was the first to make that dream come true! And it would have been an utter waste if Caulifla wasn't so fun and forward with her intentions to fight! Wish I could gorge myself like these damn Saiyans can. We're far too used to seeing female characters be serious, stay-at-home mums that let the men enjoy all the drama and fighting, so seeing Caulifla actively charge into the battle with pure excitement like the other Saiyans is exactly what I wanted, but I never realised how much I needed to see her connection to Kale and Cabba, both of which have a lot of development and show just how far she could go if she was the protagonist of her own adventure sometime, if we're lucky. The one that got to break Vegeta's arm, marry Krillin, and be a badass, even after motherhood took her out of the Buu Saga, Android 18! 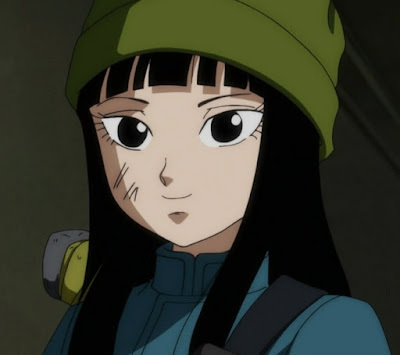 A former human who was modified by Dr Gero in his quest to kill Son Goku, 18 and her twin brother 17 have been nothing but absolute scene-thieves since day one of their existence and it's easy to see why. She's lucky. Most women I know have to use hair dye for that colour. 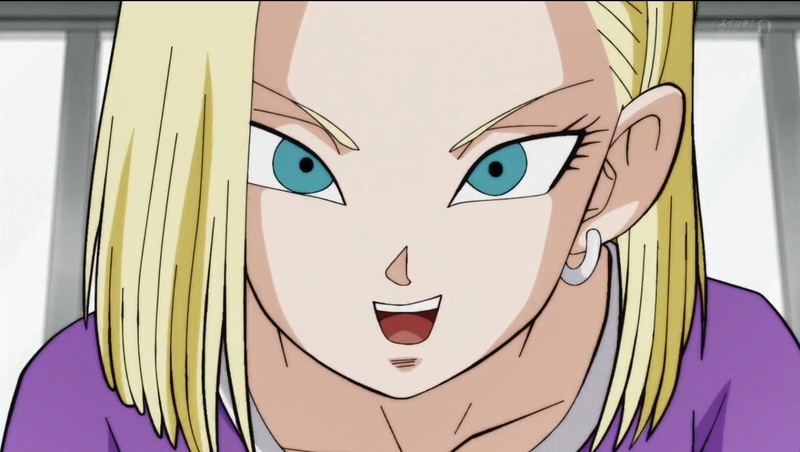 From her brutality as a villain to her caring demeanour as a hero, 18 is one of many villains to become good through experience, but is a rare case where it was not Goku that caused this, but Krillin! Every glimpse we see of her and Krillin as a couple is great, and her playful interactions with her brother help to endear her to both audience and character alike. 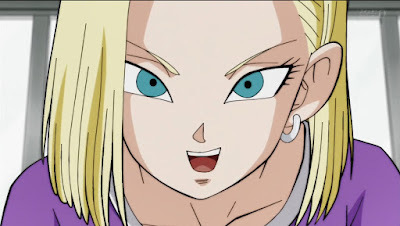 You can't imagine my sigh of relief when it was announced she could finally return to the battlefield in Super, especially after the Resurrection F Saga forced her to stay home. How could I not choose Bulma, the character that literally started the entire story of Dragon Ball? Unlike every other character here, Bulma is the only one who has remained vitally important and yet has never fought a single villain directly. Nobody sees Bulma as "just the wife and mother". If it wasn't for Bulma's contribution, Goku and his friends would never have lasted as long as they did. Current mood: Working on a time machine made by yourself with notes from your future self who just died fighting an evil copy of your best friend... in the future. Strong, fierce, full of wrath, and hilarious, Bulma was Goku's first ever friend, despite actually shooting him in the face upon meeting him. She invented the Dragon Ball Radar, got the characters to Namek, built the time machine in the future, got Vegeta to turn Super Saiyan 4, said "screw you" to Frieza, stood up to Beerus, hacked Raditz's scouter and she did all this while also managing to keep Vegeta in check! What a badass! 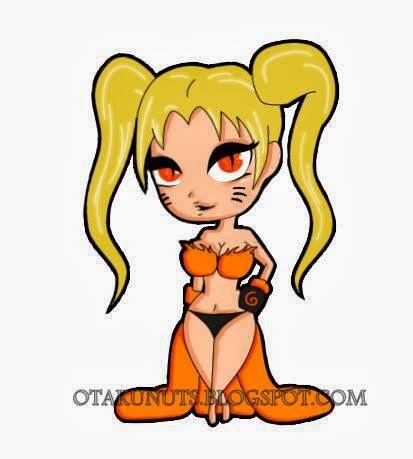 Next Top 10: Naruto Girls! 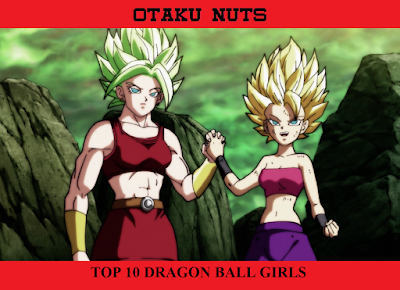 Now that Dragonball super Broly is out would Cheelai have featured on the top ten. Yeah, she'd probably be 8th place. But I'm not too bothered about that since not everyone has been able to see her by this point. But in a post-Broly world, Cheelai comes 8th and Chi-Chi is knocked down to the HMs.